Adding to the list of quirky, handmade products are these plates and bowls made by Aarthi Goyal. These kitchen products are truly one-of-a-kind, they combine art with utility. 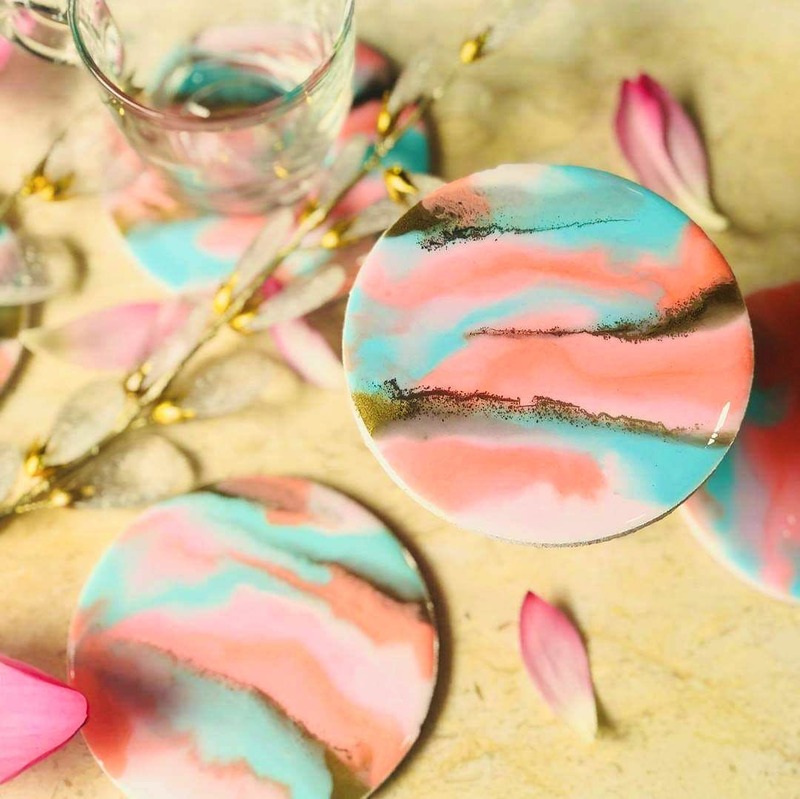 Aarthi, a resin, and fluid artist paints on bowls, plates, and coasters, and voila - they are gorgeous. The finished products look like glass, but it’s resin and it requires mixing colours, burning, and torching to get the finished look. Some products, like the rustic serving trays and plates, are made of wood. The art really stands out, it’s fluidity and water colour effect makes it look like the colours are flowing in different directions. Aarthi uses Epoxy and resin paints for the art and sometimes they require an acrylic base, too. We like the beach lid canisters with ocean-themed art and seashells. These beauty bowls are incredibly dreamy! We love the Acacia Platter with resin and gold leafing with flowers strung on them. A set of six coasters is priced at INR 1650 and the plates start from INR 1,500.